I spent much of the past weekend playing the Call of Duty: Black Ops III multiplayer Beta on the PlayStation 4. While the Beta is launching on the Xbox One and PC at the moment, I just want to share some of my early thoughts of the game. Hit the break, and let’s begin. I’ve been promising to get back into the Company of Heroes 2 for a few weeks now, but finally I got it updated on Steam and jumped in. There have been some changes since I last played, the most obvious being the inclusion of a Campaign mission. It is the seventh mission set in January 1943 entitled Land Bridge to Leningrad. I came away…impressed. Things seemed a lot tighter and ready than they did when I played the singleplayer demo at the Eurogamer Expo last year. To be expected really considering how long it has been since then, but it now feels much more like a complete, finished game. Do you fancy yourself as a bit of a Beta tester for upcoming indie games being developed by a triumvirate of legendary indie developers? Today might just be your lucky day as Tomorrow Corporation are taking in beta applications for Little Inferno for those people who have pre-ordered the game already. 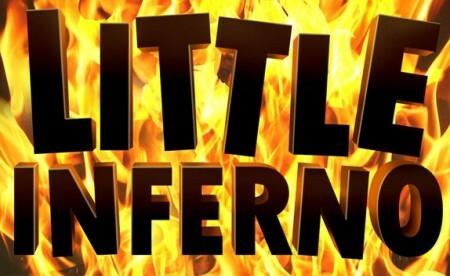 Since I last spoke with the Corporation Little Inferno has been rated ‘T for Teen’ by the ESRB and it has been confirmed that it will be an American launch title for the Wii U with a Steam release planned for the same day. What are you waiting for, get applying for the beta! I have had the pleasure of taking part in the beta for Dust 514 over the past couple of weeks, the PlayStation 3 shooter which is tied in with the EVE Online universe and which will one day see co-operation between players from both titles. It is a very exciting idea, but one that is clearly going to take a while to come to completion. The beta for Dust is very much that, an early version of the game which is undergoing many changes and updates as it progresses. As such, these are just some early impressions of a still relatively low-level grunt. The idea behind Dust is brilliant in that whatever happens in Eve impacts on Dust as they share the same universe. I can only assume this means that all the Alliances and Corps found in the PC title will eventually be found in Dust, and that the economies of both will be interlinked with chaos in one game causing chaos in the other. If everything works out, developers CCP could be onto a major winner. Though I do wonder what will happen when the PlayStation 4 eventually gets announced and released, will Dust just transfer over there leaving the PS3 version behind? These are questions for another time though. Two Tribes have announced, thanks to a post on their development blog, that they will be the first indie game company to allow players to share levels through the Steam Workshop. Toki Tori 2 will also be the first ever game of theirs to include a level editor and players will be able to edit and create new levels to share with the rest of the Steam community, much like Portal 2. Having not played a Settlers game for a good 10 or so years I was surprised and excited to see that there was an online version in development by Ubisoft and had to get into the beta to see what it was all about. See my thoughts and reactions after the jump.